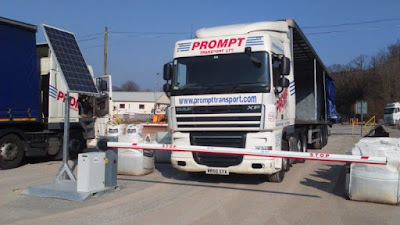 The UK’s first mobile, solar powered barrier and gate system will be officially unveiled for the first time at the Construction Expo next month. 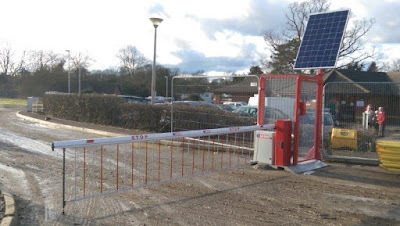 Harnessing the sun’s energy, SOSEC is a revolutionary new approach to securing work sites; without the need for a power source it can be used anywhere and easily moved wherever it’s needed. Once delivered, it is quick and simple to install. SOSEC combines a five-metre automatic traffic barrier with optional drop skirt and LED lights to control vehicles, with a rugged, locked and self-closing gate for pedestrians. 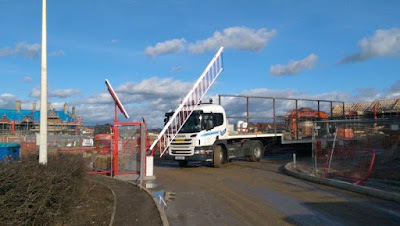 It can also be supplied as a gate or barrier on its own, depending on the site’s needs. Owing to its flexibility, SOSEC has a wide number of applications including in the construction, retail, events, highways, emergency and mining markets. The product’s solar power and power storage ability are unique and allow the barrier to operate up to 900 times a day even in an average British winter. SOSEC can also be delivered with a battery store for up to one month’s use. Sector leader Green Gate Access Systems, which recently celebrated its 10th anniversary, developed the SOSEC concept to answer a growing need to provide public safely and work site security where power provision is not practical, but security demands are high. The gate is already attracting interest from clients including Kier Living, who trialled SOSEC on their Berryfields site near Aylesbury before rolling it out to 22 further UK sites. Major tourist attraction Leeds Castle in Kent also chose SOSEC when they needed to quickly replace a 15 year-old security barrier that had failed. “Providing effective public demarcation on our sites is a big problem and our duty of care and relationship with the Health & Safety Executive meant we were committed to solving it.’ explains Rob Crossland, regional director for Kier Living. “We had tried a ‘shut the gate’ campaign for a year, with virtually no effect. I loved the idea of solar powered barriers and knew they worked. What I couldn’t find was anyone who had made the concept mobile, yet rugged and suitable for pedestrians and vehicles. 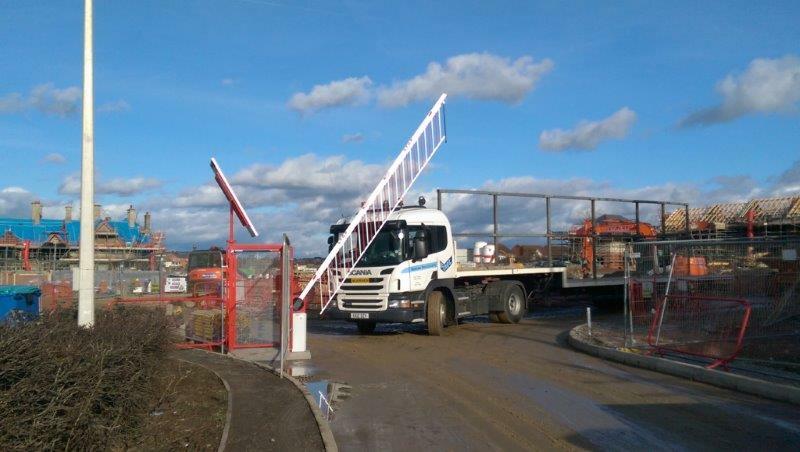 Green Gate Access Systems will unveil SOSEC at the Construction Expo at the Kent Event Centre on Thursday, 6 October. The event is one of the leading events in the regional construction industry calendar. Last year more than 3,000 people attended, and it’s expected that number will grow again this year. SOSEC will be showcased at stand 164, near the refreshment area, and the Green Gate’s security experts will be available to discuss the new product and the company’s wider range of solar and mains powered gates, barriers and access control systems. This is the latest first for the company, which prides itself on literally pushing back the barriers of its sector – from installing the country’s first lifting gate and the UK’s largest solar school gate in Broadstairs, to the country’s first solar O&O car park barriers at Warwick Hospital. Visit www.solarbarriers.co.uk and www.kentconstructionexpo.co.uk/ to find out more.